I'm combining the Jawbone Up API with the RescueTime data to create an improved productivity analysis tool. 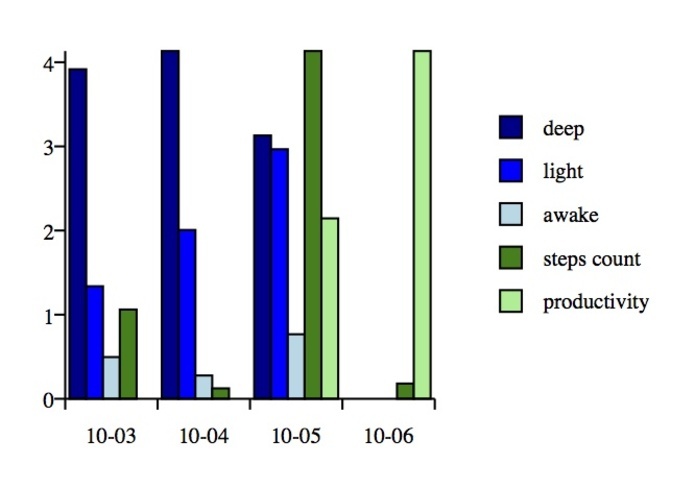 As one might expect, correlations exist between data that Jawbone tracks—movement, sleep...— and one's productivity. For example, one can expect increased productivity after a good night's sleep. 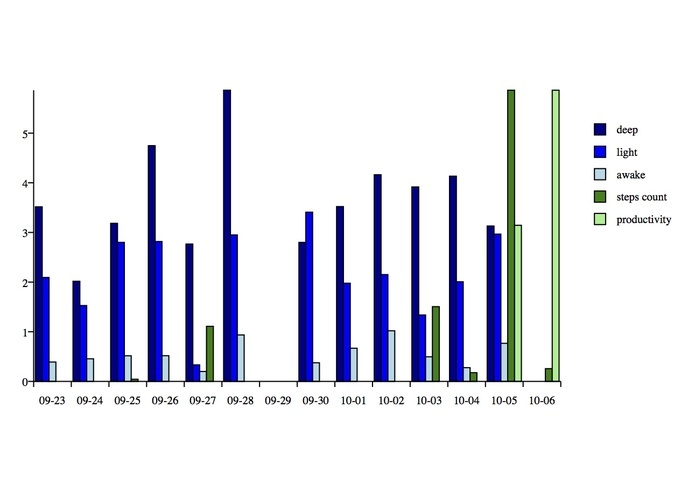 Productivi.me helps identify and quantify correlations like these for users' understanding and benefit.